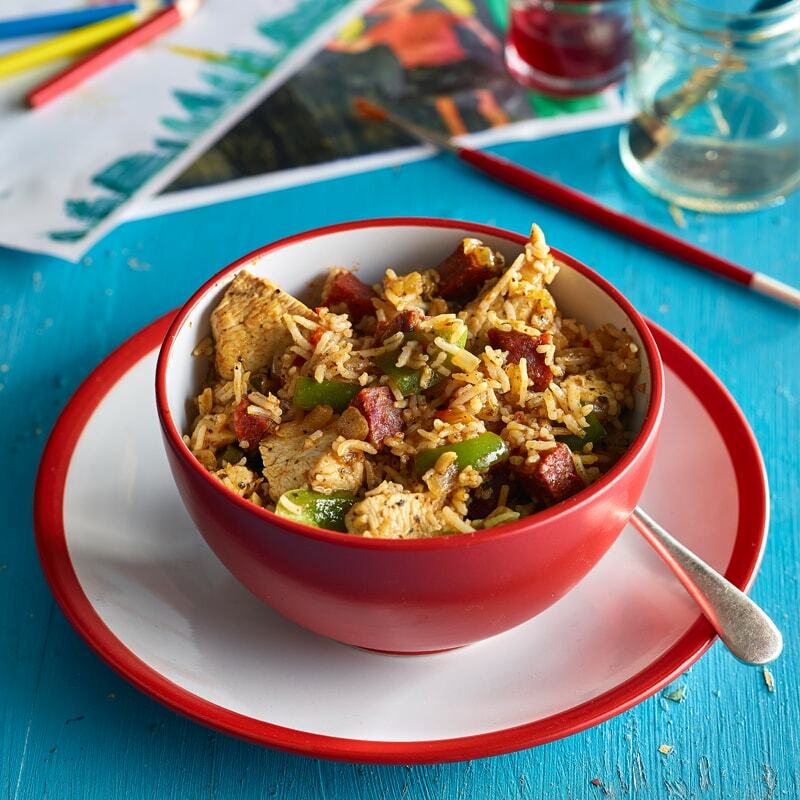 A delicious 'jumbled' rice recipe of colourful peppers, spicy sausage chunks and tasty VeeTee rice. Heat the oil in a pan, add the onions and chorizo sausage, cook for 4-5 minutes or until the onions are soft. Add the chicken and garlic. Cook for a further 10 minutes or until the chicken has been cooked through. Stir in the green pepper and chilli, heat for 2-3 minutes. Mix in the cajun seasoning, water and stir through. Add the rice and cook for 2 minutes or until the rice has been heated through and the water has evaporated. Serve immediately.